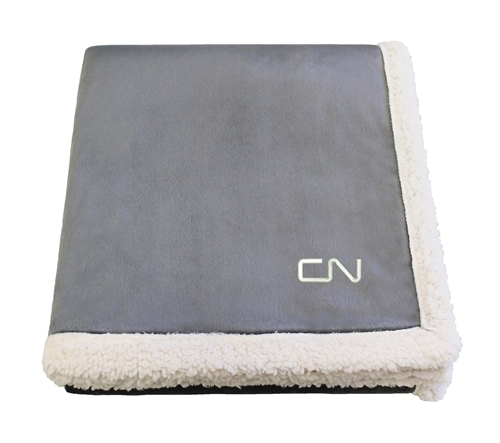 The Luxe Lambswool Throw is super soft and cozy. Faux lambswool and micro fur for a soft luxuriously plush feel to cozy up with. Made of 100% polyester will not shrink and is machine washable. Packaged in vinyl zippered bag. Featuring the CN logo embroidered. Care instructions: Machine wash separately with cold water on gentle cycle. Tumble dry low heat. No bleach and no iron.